As you drive down the streets in Lincolnton, NC, you want your vehicle to reliably get you where you need to go. You want all aspects of your car to be in top condition, so you can be certain that it will always be dependable. One of the most important components of your car is your tires. When your tires are worn down, you have a greater chance of experiencing trouble on the road; things such as flat tires and loss of traction can certainly lead to wasted time and energy. Your tires need to be in top condition, so you don’t have to worry about these issues and can feel confident in your ability to safely get where you need to go. 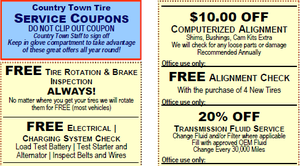 At Country Town Tire & Auto Service Center, we have many different brands of tires to choose from. One of the unique brands we carry is Hercules Tires. Hercules Tires began as an entrepreneurial venture over 60 years ago. They have always been committed to offering exceptional performance and selection at an uncommon price. In addition to providing a wide selection of superior tires, Hercules tires also come with warranties that are similar to warranties found on big-ticket tires. If you are ready for tires of the highest quality at a price you can afford, come in and explore our options in Hercules tires. Our knowledgeable staff can assist you in finding the tires that will be the perfect fit for your needs. 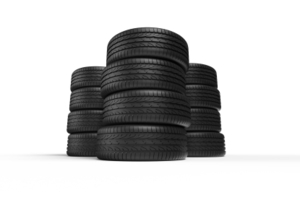 Beyond helping you choose your tires and installing them for you, we are able to take care of all your tire service needs, including balancing, rotations, flat repairs and other services. Since we are a member of the Better Business Bureau, you can rely on us to provide you with work that is top-notch.